Published: Oct. 8, 2017 at 06:28 a.m. Updated: Oct. 8, 2017 at 11:56 a.m.
With an 0-4 start and a temporary home stadium that has featured loud sections of opposing fans, the start of the 2017 season has not been anything the Chargers imagined. 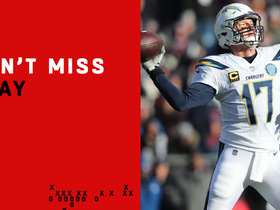 That has led the Chargers, who face the similarly winless Giants today at MetLife Stadium, to continually have to answer some important and nagging questions. Are they going to bail on Los Angeles and move back to San Diego? According to a team official, that is not realistic. Nor is it on the table in any fashion. "We're not going back," the official said. Amid a report that it was possible -- and being encouraged by the NFL -- a league spokesman spoke out about it this week, as well. 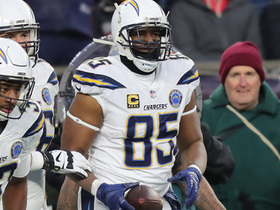 "There are no discussions of returning to San Diego from the league or from the club," NFL spokesman Joe Lockhart said. A league source emphasizes there is zero pressure from the league for this to happen. 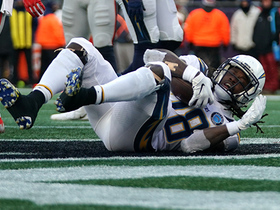 Once they moved, the focus has been on the Chargers winning new fans and succeeding in L.A.
And nothing will help that as much as starting to win games. Everyone agrees on that. Sure, they have not yet paid the $645 million relocation fee that's due upon moving into the new stadium that Rams owner Stan Kroenke is building. And sure, a vote of owners can change anything, theoretically. But, as many sources explain, San Diego still doesn't have a stadium option. 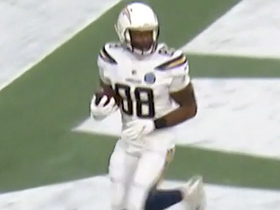 And if it did, the Chargers likely never would have moved. When league officials have spoken with Chargers owner Dean Spanos, his focus has only been on trying to make it work in L.A.
As expected, there have been complications. The StubHub Center has sold out each of the first three games, with announced capacities of more than 25,000. But there have been large blocks of road fans each time -- the Chargers did have to use a silent count on offense against the Eagles. Officials have estimated it's the same number of opposing fans who used to attend Qualcomm Stadium, only StubHub is much smaller, and they seem louder. Still, it's a big source of frustration for everyone involved, and the only cure may be winning. The other point is a monetary one. The Chargers have invested more than a million dollars in a training camp facility. Tens of millions in a temporary training facility. Tens more millions to spruce up the StubHub Center. The questions may still come. But no, a return to San Diego is not in their future.